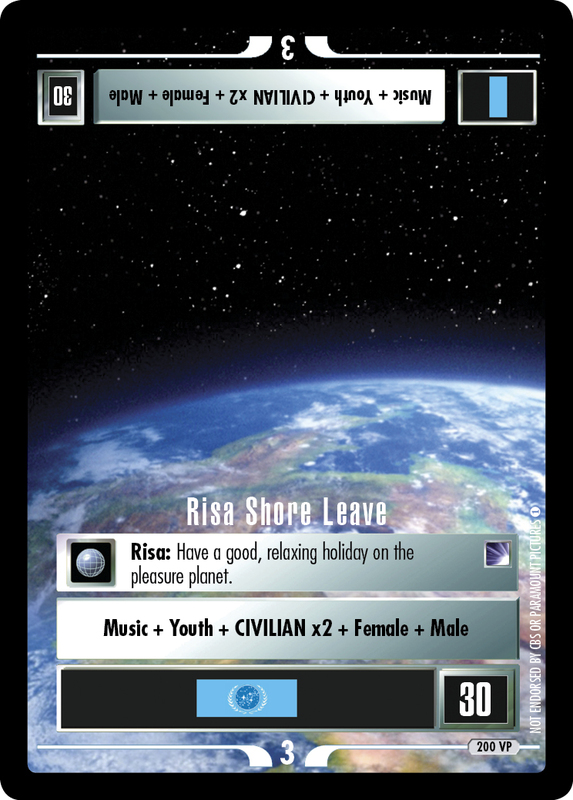 Plays once each turn (for free) on your Gul or Senator present with a female of a different species. For rest of turn, this personnel gains any regular skill; discard incident. 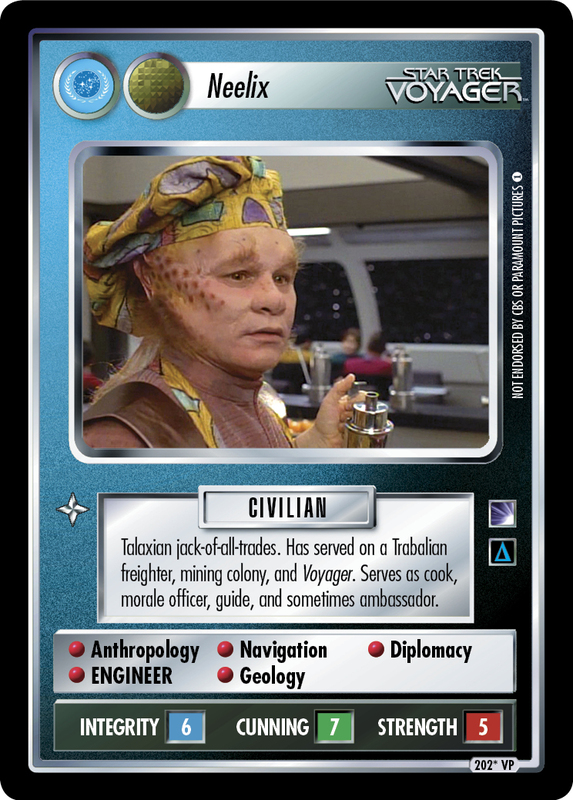 OR Seeds on Bajor. 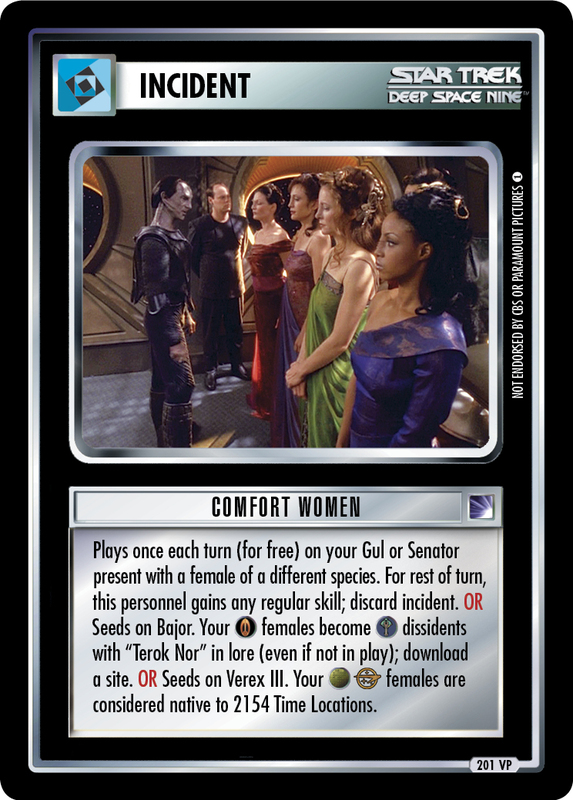 Your females become dissidents with "Terok Nor" in lore (even if not in play); download a site. OR Seeds on Verex III. Your females are considered native to 2154 Time Locations.